Unfinished Basswood Bookstand 12 x 16 x 3/4 inch. 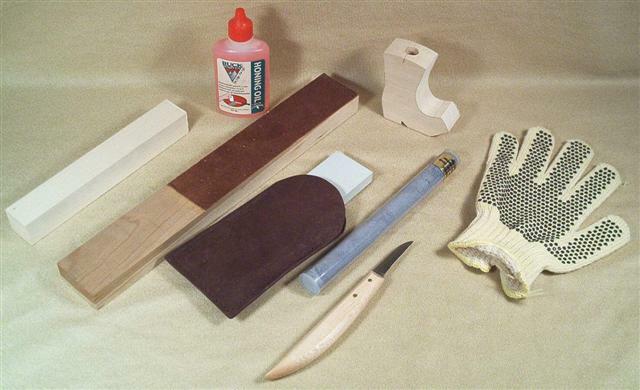 Designed by fellow woodcarver and woodworker Jim Rotenberry this stand is ideal for use while cooking at the computer or holding your woodcarving how-to books. Suitable for chip carving woodburning relief carving or painting. Overall size is 12 x 16 with a 1 1/2 inch wide bottom lip. Two pexiglas clips hold your book in place. Back is 3/4 inch thick. 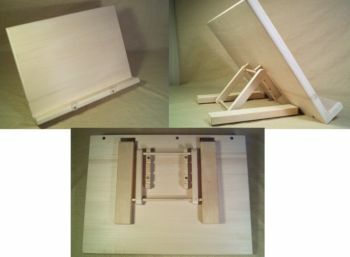 Stand folds flat for storage. Slots in the back allow the bookstand to be placed in three upright positions.